Having a quiet time is one of the most basic disciplines that a believer in Christ should be practicing. There are many advantages to having this moment with the Lord. Foremost of which is that you are starting your day communicating with God, your God! You’ll know Him more, isn’t that an important thing? Meeting with Him in your quiet moments helps in focusing on the agenda of the day. You’ll be stronger against temptation. You’ll be a more loveable person to be with because the Word of God is in you. But as I have said in the opening paragraph, its a discipline. We need to exercise ourselves intentionally to have that habit of having a quiet time. We need to want it enough that you would sacrifice sleeping time just to get up early or, heaven forbid, sleep earlier. I have a colleague who goes to bed around 9pm (or earlier) and gets up at 3am and spends an hour on her quiet time. Honestly, I envy her. I do not that kind of discipline to do it…yet. Do it first thing in the morning especially when others are still sleeping! The earlier the better. It must be your priority. Find a quiet spot in (or outside) your house. This is important! You need a place where you can have a continous uninterrupted time. I know someone who finds the bathroom as the best place to have a quiet time. 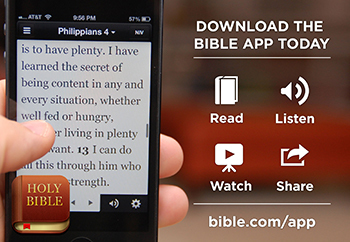 Use a devotional book with daily Scripture reading guide that you will follow every day. You may want to consider a guide which gives you a varied reading experience instead of just the sequential readings from Genesis to Revelation. You may want to try the devotional guides from YouVersion (www.youversion.com). They have a lot to offer in terms of how you want to go through the Bible, authors, and topics. Have soft worship music available. Not loud. Just soft, preferably acoustic versions of your favorite music. If you have internet access, you can make a playlist on Spotify (they have a FREE plan at www.spotify.com) that you can prepare beforehand. Reflect. Think about what you have just read or studied. How does it apply to you? Is there something that God is teaching you? Maybe something that you have to change? Talk to God. Not just pray. Talk to Him like you would a friend. Or a Father! Have a notebook and pen available to write down your thoughts or what God is telling you. This is something that a popular tablet apps such as EverNote or SimpleNote cannot attain the experience of writing on a pen and paper. You can use a plain notebook or if you want to be more intentional about it, you can get one of Certified Positive’s upcoming prayer journals. Details can be found at their website, www.certifiedpositive.com. Close in prayer. Ask God how you can be a blessing to someone today. Ask God to lead you to a person who you can pray for, talk to, and learn more about. Now again, this is not an easy exercise for many people, but then, this is for our own good. This is for our relationship with God, I know we can do it! BOOK REVIEW: Look Who God Can Use!